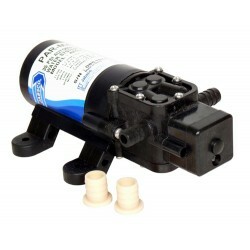 High pressure water pumps for your boats. Inlet strainer protects all electric diaphragm pumps.&bull; Prevents unnecessary pump breakdowns caused by particles in the water.&bull; Transparent housing allows instant inspection.&bull; Quick, in-place, cleaning of the 40# mesh stainless steel screen. Fitting :&nbsp;Choose connections for 3&frasl;8&rdquo;, 1&frasl;2&rdquo;, 3&frasl;4&rdquo; (13 mm) ID hose, or 1&frasl;2&rdquo;-14 pipe.Size :&nbsp;4-3&frasl;4&rdquo; long x 2-3&frasl;4&rdquo; wide x 2-1&frasl;2&rdquo; high (12 cm x 7 cm x 6 cm). 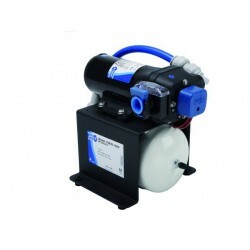 &bull; Output: 16.3 litres/minute (4.3 gallons/minute) open flow&bull; PRESSURE SWITCH - cuts in at 0.7bar (10psi) - cuts out at 1.8bar (25psi)&bull; Efficient, high-flow, self-priming pump serving 4 or more outlets&bull; Multi-diaphragm design self primes to 3m vertical lift, can run dry without damage&bull; Supplied with snap-in ports 13mm hose &amp; 13mm threaded QEST type connectors&bull; Permanent motor protected by automatic thermal overload cut-out Fitting : for 13mm (1&frasl;2&rdquo;) bore hose or Hep20 push-fit connectors CW193Size : 250 mm long, 105 mm wide, 100 mm highWeight :&nbsp;2.97 kgFlow :&nbsp;4.3 gpm (16.3 lpm). The high pressure capability of the new Jabsco Par-Max plus series water pressure pumps available in 4.0, 5.0, and 6.0 gpm models provide exceptional flow and consistent water pressure to easily handle the demand of multiple outlets at one time. 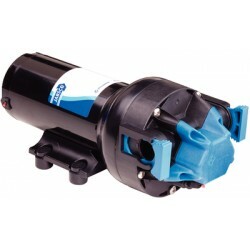 All Par-Max plus models include soft rubber mounts and quick connect fittings for ease of installation.&bull; Sealed switch and co-moulded diaphragm, eliminates leak paths, extending the life of the pumps by up to 50%.&bull; Automatic pressure switch, tested over 4 million cycles without failure.&bull; Quick disconnect ports allow for adjustable and ease of installation.&bull; Improved noise dampening rubber feet, significantly minimizes vibration when mounted against hard surface.&bull; Available in 12 or 24V dc.&bull; Certified to EN ISO 8846 Marine (Ignition protection). Fitting&nbsp;: 4 gpm&nbsp; &nbsp; &nbsp; &nbsp; &nbsp; &nbsp; &nbsp; 2 x 1&frasl;2&rdquo; hose barb x quad with EDPM O ring&nbsp; &nbsp; &nbsp; &nbsp; &nbsp; &nbsp; &nbsp; Port QST elbow x quad with EDPH O ring&nbsp; &nbsp; &nbsp; &nbsp; &nbsp; &nbsp; &nbsp; : 5 gpm&nbsp; &nbsp; &nbsp; &nbsp; &nbsp; &nbsp; &nbsp;2 x 1&frasl;2&rdquo;-14 straight QEST thread x quad with EDPM O ring&nbsp; &nbsp; &nbsp; &nbsp; &nbsp; &nbsp; &nbsp;2 x port QST elbow x quad with EDPM O ring&nbsp; &nbsp; &nbsp; &nbsp; &nbsp; &nbsp; &nbsp;2 x 1&frasl;2&rdquo; hose barb x quad with EDPM O ring&nbsp; &nbsp; &nbsp; &nbsp; &nbsp; &nbsp; &nbsp;: 6 gpm&nbsp; &nbsp; &nbsp; &nbsp; &nbsp; &nbsp; &nbsp;2 x elbow with 1&frasl;2&rdquo; thread &amp; 3/4 quick connect fitting with O ring&nbsp; &nbsp; &nbsp; &nbsp; &nbsp; &nbsp; &nbsp;2 x 1&frasl;2&rdquo; hose barb x quad with EDPM O ringSize&nbsp;: 4.0 gpm: 9.91&rdquo; long x 5.09&rdquo; wide x 4.72&rdquo; high (25 cm x 13 cm x 12 cm).&nbsp; &nbsp; &nbsp; &nbsp; : 5.0 and 6.0 gpm: 10.60&rdquo; long x 5.09&rdquo; wide x 4.72&rdquo; high (27 cm x 13 cm 12 cm).Weight : 7.6 lb. (3.5 kg) 5.0 and 6.0 gpm models. This conventional pressure switch controlled pump enjoys the same pulsation free 3 chamber diaphragm design as Jabsco&rsquo;s PAR-Max 2.9 &amp; 1.9 but incorporates a heavy duty motor, giving higher flows and long life fornsuch a small footprint. 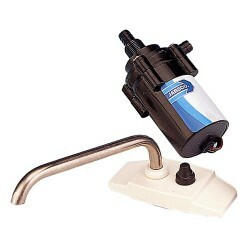 Like all Jabsco water pressure system pumps it is inherently quiet, self- priming and can run dry without damage. 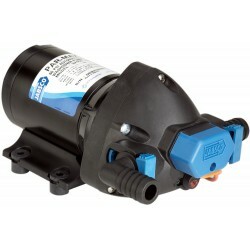 Quick connect fittings are included.&bull; Powerful 3.5 gpm (13.2 lpm) flow rate.&bull; Shut off pressures from 25 to 40 psi (2.8 bar).&bull; Self priming up to 3 m (10 ft).&bull; Efficient, high flow, self priming pump serving 4 or more outlets&bull; Not for continuous duty Fitting : 2 x 1&frasl;2&rdquo; - 14 Male straight, 2 x 1&frasl;2&rdquo; - hose barb x quad.Weight : 5.0 lb. (2.1 kg). 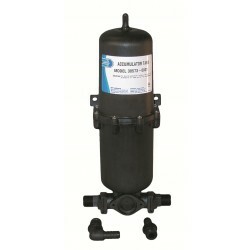 The Single Stack is a fully assembled water pressure set which makes&nbsp;installation of water pressure systems simple. The system consists of a Par&nbsp;Max 4 pump, strainer and pre-pressurised accumulator tank. Serves 4 or more&nbsp;outlets. Fitting : Connections for 19mm (3&frasl;4&rdquo;) hose tail.Size : 12.2&rdquo; long x 9.4&rdquo; wide x 9.8&rdquo; high (24 cm x 31 cm x 25 cm).Weight : 12 lb (5.4 kg). 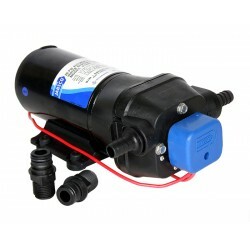 &bull; Flow of 4.8 gpm (18 lpm).&bull; Self priming 10 ft (3 m).&bull; Run dry ability.&bull; Smooth even flow.&bull; Thermal overload protection.&bull; Complies with ISO 8846 MARINE (Ignition protection). 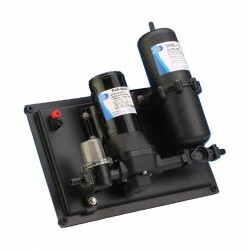 The double stack water system combines two Par Max 4 water system pumps that provide over 9 gallons per minute. 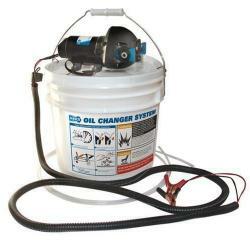 The prepressurised accumulator tank smoothes the flow and prevents the pumps from cycling. Serves as many as 7 outlets.&bull; Flow of 9 gpm (34 lpm).&bull; Self priming 10 ft (3 m).&bull; Run dry ability.&bull; Smooth even flow.&bull; Two stage operation.&bull; Internal bladder accumulator tank.&bull; Thermal overload protection.&bull; Complies with ISO 8846 MARINE (Ignition protection). Fitting : Connections for 19 mm (3&frasl;4&rdquo;) hose tail.Size : 12.2&rdquo; long x 9.4&rdquo; wide x 12.2&rdquo; high (24 cm x 31cm x 34.5 cm).Weight : 21 lb. (9.5 kg). A fully assembled pressure set that simplifies the installation of water pressure systems for both the professional and amateur installer. 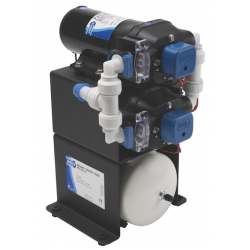 The set consists of a PAR-Max 3 pump, strainer and pre-pressurized accumulator tank with quick connect electrical connections on a rubber mounted board. Serves 3 or more 1&frasl;2&rdquo; (13 mm) outlets.&bull; Flow of 3.5 gpm (13.2 lpm).&bull; Self-priming up to 10 ft (3 m).&bull; Can be installed vertically or horizontally.&bull; Quadruple diaphragms for smooth and quiet operation.&bull; Thermal overload protection automatically stops motor should it overheat due to overload, with auto re-start feature.&bull; Diaphragm design allows extended dry running.&bull; Low pressure switch cut-in 10 psi (0.7 bar), cut-out 20 psi (1.4 bar).&bull; High pressure switch cut-in 20 psi (1.4 bar), cut-out 40 psi (2.8 bar).&bull; Maintenance free potable water quality accumulator tank.&bull; Complies with USCG 183.410 and ISO 8846&bull; MARINE (Ignition Protection). Fitting : Connections for 1&frasl;2&rdquo; (13 mm) ID hose or 1&frasl;2&rdquo; (15mm) Qest fittings.Size : 15-1&frasl;2&rdquo; long x 153&frasl;4&rdquo; wide x 51&frasl;2&rdquo; high (39 cm x 40 cm x 14 cm).Weight : 6.6 lb. (3 kg). 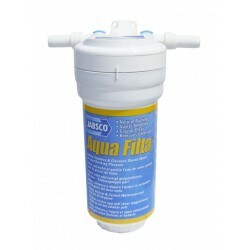 Aqua Filta adsorbs dissolved impurities freshening and cleansing water to make it natural tasting, sweet smelling and crystal clear.&bull; Screw-on cartridge is replaced annually or sooner if necessary, at half the cost of replacement filters.&bull; Over 200g of silver impregnated activated carbon.&bull; Beneficial mineral salts are retained.&bull; Ports accept fitment to either 13mm (1&frasl;2&rdquo;) ID hose or 1&frasl;2&rdquo; screw-in fittings for polybutylene&bull; or copper plumbing.&bull; Initial flow capacity up to 14 lpm (3.7 gpm).&bull; Tough moulded components give ample pressure capability, up to 4.2 bar (60 psi). Fitting :&nbsp;Connections for 13 mm (1&frasl;2&rdquo;) ID hose, 15 mm Hep20 and acorn fittings, 15 mm John Guest Speedfit and whale system 15 fittings and 1&frasl;2&rdquo; BSP female threaded fittings.Size :&nbsp;23 cm high x 14 cm deep x 10 cm wide (9&rdquo; x 51&frasl;2&rdquo; x 4&rdquo;).Weight :&nbsp;500g (1.1 lb.). 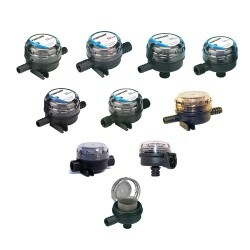 Water Pressure Regulators protect your boat&rsquo;s water system from damaging pressures of unregulated city water hook-ups. Available in two model spermanently installed flush mount or in-line. 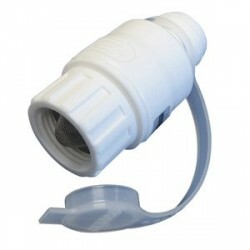 Both feature brass GHT fittings for potable garden hose connection.&bull; Regulator output 45 psi, Max inlet pressure 125 psi.&bull; Maintains regulated pressure at various flow rates.&bull; Compact in-line model only 3&rdquo; (77 mm) long.&bull; Flush model has unique swivel elbow output.&bull; Manufactured of food-grade materials.&bull; Meets all applicable codes and approvals.&bull; Removable strainer protects plumbing. Fitting :&nbsp;Flush connections for 3&frasl;4&rdquo; GHT (f) inlet and 1&frasl;2&rdquo;-14 pipe outlet. In-line connections 3&frasl;4&rdquo; GHT (f) inlet and 3&frasl;4&rdquo; GHT (m) outlet.Flush size :&nbsp;3-1&frasl;2&rdquo; deep x 43&frasl;8&rdquo; high x 43&frasl;8&rdquo; wide (88 mm x 13 mm x 13 mm).In-line size :&nbsp;3&rdquo; long x 11&frasl;2&rdquo; diameter (7.7 cm x 3.9 cm).Weight :&nbsp;Flush 0.41 lb. (0.2 kg). In-line 0.2 lb (0.1 kg). The economical answer to running water at the push of a button. &bull; 1 gpm (4 lpm).&bull; Available with or without faucet with stainless steel swing spout.&bull; Pump must be installed in flooded suction position.&bull; On/off switch is built into the faucet base. 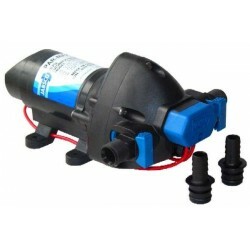 Improves all pressure controlled water systems. 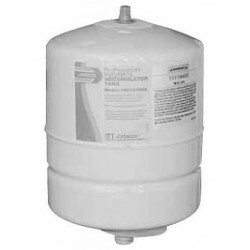 Jabsco&rsquo;s new compact 21 oz (0.6 liter) accumulator tank fits into those tight areas, and performs all of the same functions as 1 Quart model (1 liter), but in a smaller package.&bull; Smoother flow, quieter water systems.&bull; Internal rubber membrane eliminates maintenance and allows universal mounting.&bull; Better control of hot water temperatures.&bull; Simply fitted to new or existing systems.&bull; Longer pump life, lower battery drain.&bull; Snap-in port fittings.&bull; MARINE (Ignition protection). Fitting : Connections for 1&frasl;2&rdquo; (13 mm) ID hose, optional ports available, see below.Size :&nbsp;21oz (0.6 liter) - 4-3&frasl;8&rdquo; deep x 4-3&frasl;4&rdquo; wide x 7&rdquo; high (11 cm x 12 cm x 18 cm).&nbsp; &nbsp; &nbsp; &nbsp; : 1 Quart (1 liter) - 4-3&frasl;8&rdquo; deep x 4-3&frasl;4&rdquo; wide x 13-1&frasl;4&rdquo; high (11 cm x 12 cm x 34 cm).Weight :&nbsp;21oz (0.6 liter) - 1 lb. (0.45 kg). 1 Quart (1 liter) - 1.6 lb. (0.7 kg). Smooth flow from faucets and showers, reduce pump cycling, eliminate&nbsp;pulsations and water hammer.&bull; Can be mounted vertically or horizontally.&bull; Water is totally separated from air chamber by a rubber bladder.&bull; All models include mounting brackets&bull; 8 liter (1&frac34; gal) volume.&bull; 3.4 bar (50 psi) Max. working pressure.&bull; Connection for &frac34;&rdquo; BSP female thread.&bull; 22 cm dia. x 33 cm high (8&frac12;&rdquo; x 13&rdquo;).